1. European Commission, 2010, „Trade, growth and world affairs. Trade policy as a core component of the EU's 2020 strategy“, Communication from the Commission to the European Parliament, the Council, the European Economic and Social Committee and the Committee of the Regions, COM(2010)612, DG Trade: Brussels. 2. Krueger, A., 1980, “Trade Policy as an input to Development”, American Economic Review, 70, pp: 288-292. 3. Helpman, E., Krugman, P., 1985, Market Structure and International Trade, MIT Press. 4. Grossman, G. M., Helpman, E., 1991, Innovation and Growth in the Global Economy, Cambridge: MIT Press. 5. Balassa, B., 1978, “Export and Economic Growth: Further Evidence”, Journal of Development Economics, 5, pp: 181-189. 6. Grossman, G. M., Helpman. E., 1991, Innovation and Growth in the Global Economy, Cambridge: MIT Press. 7. Romer, P.M., 1987, "Growth Based on Increasing Returns Due to Specialization." A.E.R. Papers and Proc. 77 (May), pp: 56-62. 8. Keller, W., 2004, „International technology diffusion“, Journal of Economic Literature 42, pp: 752-782. 9. Belke A., Wang, L., 2006, The degree of openness to intraregional trade–Towards value-added based openness measures. Jahrbücher für Nationalökonomie und Statistik, 226, pp:115-138. 10. Daudin G. C. R., Schweisguth, D., 2011, „Who produces for whom in the world economy?“ Canadian Journal of Economics, 44, pp:1403-1437. 11. Johnson, R. C., Noguera, G., 2012. "Fragmentation and Trade in Value Added over Four Decades," NBER Working Papers 18186, National Bureau of Economic Research, Inc.
12. Fujii, G., Ascárraga, W., 2012, Fragmentation, vertical specialization, manufacturing exports and economic growth in Mexico, Paper presented at 19th International Input-Output Association Conference. 13. Tyszynski, H., 1951, “World Trade in Manufactured Commodities”, The Manchester School of Economic and Social Studies, 19(3), pp. 272-304. 14. Baldwin, E. R., 1958, “The Commodity Composition of Trade: Selected Industrial Countries, 1900-1954”, Review of Economics and Statistics, 40(1), pp.50- 68. 15. Fagerberg, J., Gunnar, S. 1987, “The Method of Constant Market Shares Analysis Reconsidered”, Applied Economics, 19(12), pp. 1571-1583. 16. Jempa, C. J., 1986, Extensions and Application Possibilities of the Constant-Market-Shares Analysis, Groningen: Rijkusuniversiteit, Groningen. 17. Kapur, S. N., 1991, “The Structure and Competitiveness of India's Exports”, Indian Economic Review, 26(2), pp. 221-237. 18. Milana, C., 1988, “Constant-Market-Shares Analysis and Index Number Theory”, European Journal of Political Economy, 4(4), pp. 453-478. 19. Richardson, J. D., 1971,"Constant-market-shares analysis of export growth", Journal of International Economics, 1(2), pp. 227-239. 20. Steenge, A. E., 2010, “Endogenous explanation of activities’ levels and the exploding multiplier”, paper presented at the conference “International InputOutput Conference”, organized by The International Input-Output Association, Sydney, Australia, June 20-25. 21. Soklis, G., 2009, “The Conversion of the Supply and Use Tables to Symmetric Input-Ouput Tables: A Critical Review”, Bulletin of Political Economy , 3(1), pp. 51-70. 22. Fleissner, P., Wolfgang B., Hans-Ulrich B., 1993, Input-Output-Analyse – Eine Einführung in Theorie und Anwendungen, Wien, Springer. 23. Holub, H.W., Hermann, S., 1994, Input-Output Rechnung - Input-Output Analyse, München, Oldenbourg. 24. Kurz, H. D., Dietzenbacher, E., Lager, C., 1998, Input-Output Analysis, Cheltenham, Elgar Reference Collection. 25. Leontief, W., Duchin, F., Szyld, D., 1984, The Impacts of Automation on Employment 1963-2000, New York : New York University. 26. Miller, R., Blair, P,. 1985, Input-Output Analysis - Foundations and Extensions, Englewood Cliffs, Prentice-Hall. 27. Thage, B., Ten Raa, T., 2006, “Streamlining the SNA 1993 Chapter on Supply and Use Tables and Input-Output”, Paper presented at the conference “29th General Conference of the International Association for Research in Income and Wealth”, International Association for Research in Income and Wealth, Joensuu, Finland. 28. Ten Raa, T., Cantuche, R., 2003, “The construction of input-output coefficients in axio matic context: some further considerations”, Economic Systems Research, 15(4), pp: 439-455. 29. United Nations Statistical Division, 1996, Handbook of Input-Output Table Compilation and Analysis, New York, UN. 30. 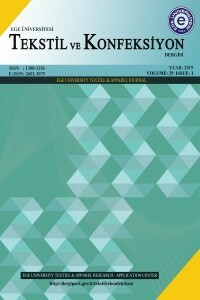 D’Hernoncourt, J., Cordier, M., Hadley, D., 2011: “Input-output multipliers specification sheet and supporting material”, Spicoza Project Report, CEESE, Brussels. 31. Lovrinčević, Ž., Mikulić, D., 2011, “Razvitak sustava nacionalnih računa prema ESA 95 zahtjevima, Projekti zadatak: Izrada simetričnih input/output tablica za 2004. godinu u tekućim cijenama te izrada i bilanciranje tablica ponude i uporabe za 2005. godinu u tekućim cijenama”, Ekonomski institut, Zagreb, unpublished paper, November. 32. Milana, C., 1988, “Constant-Market-Shares Analysis and Index Number Theory”, European Journal of Political Economy, 4(4), pp. 453-478. 33. Rueda, C., Neuwahl, J., F., Delgado, L., 2009, “The adjustment capacity of the European economy examined with an input-output based key sector analysis: towards a review of the European single market”, working paper in Cuadernos de Trabajo de SHAIO. Serie 1: Análisis Input-Output, Cuaderno 01/09. ISNAD BUTURAC, Goran , LOVRİNČEVİĆ, Željko , MİKULİĆ, Davor . "EXPORT COMPETITIVENESS OF CROATIAN TEXTILE INDUSTRY R11; CMS ANALYSIS AND IMPORTANCE FOR ECONOMY". TEXTILE AND APPAREL 24 / 2 (December 2014): 158-168.